The gallery has been updated with photos from the UFG Officer social at Dog Pony. UFG officers both old and new gathered at the popular boutique last month to discuss big plans for the next school year. The newly elected 2011-2012 officers are listed here. Check out some of the fashionable merchandise sold at Dog & Pony photographed by Mary Kang in the gallery. You can also check it out in person at the boutique near the UT campus on 2712 Guadalupe Street. 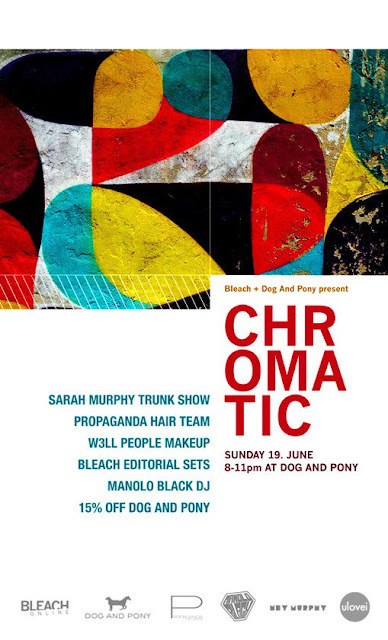 Dog & Pony, along with BleachOnline will be hosting "Chromatic," a social media interactive event this Sunday, June 17 from 8pm-11pm. It's a great networking opportunity for local photographers, models, and hair & makeup artists. There will be a trunk show by Sarah Murphy, hair consultation and touch-ups by Propaganda Hair Group, makeup touch-ups courtesy of W3ll People Makeup, refreshments provided by Koriente, music by Manolo Black, and Dog & Pony merchandise will be 15% off! RSVP and find more details here.